About to have an event for your organization? Eventbrite can provide the organization while Cerkl can help in the promotional and engagement side of things. 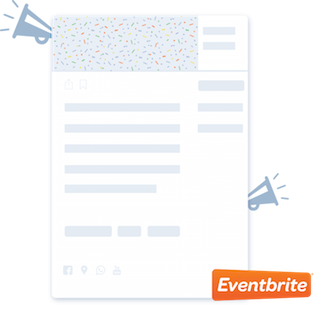 Cerkl allows you to easily share events you’ve published in your Eventbrite account. 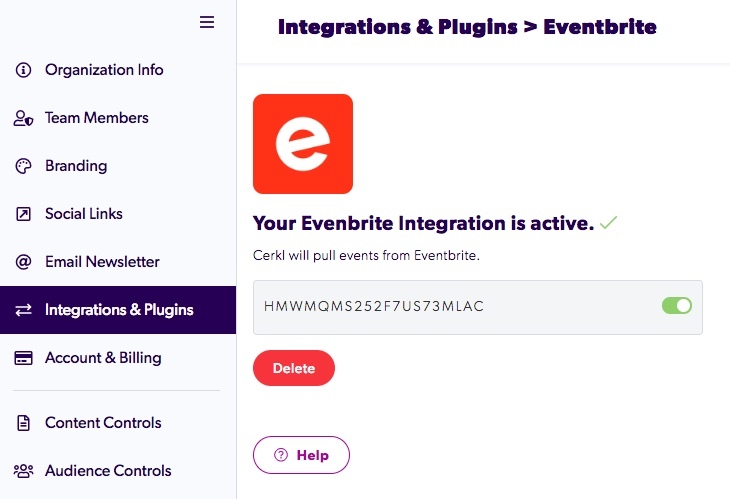 First, go to Settings > Integrations & Plugins > Eventbrite. Click the HERE link to have our wizard direct you to sign in to your Eventbrite account. Once you are signed in, grab your personal OAuth Token and paste it in the provided space. Then, simply make sure the toggle is green for enabled. You can always disable and enable the Eventbrite Integration by switching the toggle to off. Your events will filter into your Content Queue for your approval. Once everything is verified, you should see your Eventbrite events begin to seamlessly flow into your Content Archive and Upcoming Events section of your newsletter.